Lucid Meetings is a cloud-based virtual meeting platform for businesses of all sizes. It features audio recording with transcripts, online document presentation, automated meeting minutes, and more. In this article, we covered its available pricing options. Ready to try Lucid Meetings? Get a free trial. As of the date this article was written (11/21/18), there are no recent user reviews of Lucid Meetings online. If you are a past or current Lucid Meetings customer, leave a review to help other small business owners who are deciding whether or not to use the company. Lucid Meetings offers a free plan and two paid subscription options: Business Flex (ranges from $19 to $699 per month) and Enterprise (custom priced). The main differences between the plans include the number of hosts and attendees included, as well as the availability of premium features like workflow automation, user management, and custom branding. Ready to try Lucid Meetings? Get a free trial. Best Video Conference Software in 2017: Zoom vs Join.me vs GoToMeeting — Video conference applications help companies with remote employees or business owners who need to conduct webinars or online coachings to make remote communication easier. In this guide, we compare Zoom vs. Join.me vs. GoToMeeting to give you an idea which of the best video conference software would suit your needs in terms of features, price, and customer support. How does Business Flex pricing work? With a Business Flex subscription, users only pay for the meeting hosts (room managers and facilitators who actually click the “Start Meeting” button and conduct meetings) in a given month. Users don’t pay based on the number of meetings or the number of attendees. Lucid Meetings will adjust the pricing each month to charge only for active usage. Does Lucid Meetings allow users to cancel their account anytime? Yes. Monthly subscribers can cancel their account anytime. Annual subscribers can also do so, but no refund will be issued for the unused months of service. 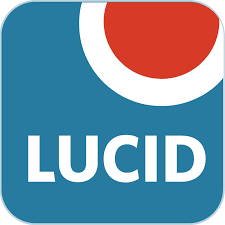 Not sure if Lucid Meetings is the right fit for you? Read our reviews of all top video conferencing software providers or check out one of these three Lucid Meetings alternatives.